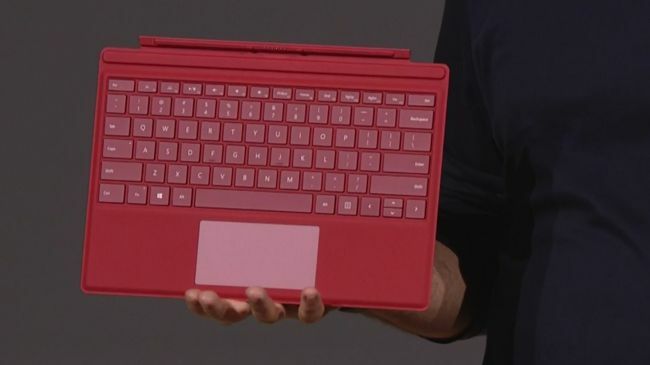 This video will show you a first look at the Microsoft Surface Pro 4. Well you have been waiting for it and here it is guys, the Microsoft Surface Pro 4. What are actually talking about here? Its a table that runs a full version of Windows 10. That’s right unlike Apple’s iPad which runs a cut down version of operating system called IOS. The Surface Pro 4 can run all manner of Apps just like your desktop can. Which from my point of view is already pretty amazing. I hope to at some stage get a comparison video up which we can go over what the differences are between the models however for now lets talk about the Surface Pro 4. The Surface Pro 4 comes in three different configurations. Each of the configurations above can be set with 4GB, 8GB or 16GB of ram and with storage options of 128GB, 256GB, 512GB and 1TB. Microsoft say that you should get about 9 hours of battery life out of Surface Pro 4 on the Core i5, 256GB, 8GB model. Want to Buy Surface Pro 4? Click here. I tested the Surface Pro 3 stylus and it worked with the Surface Pro 4 as well. So its a nice touch to make everything backward compatible. I would say if you are in the market for a portable computer that you can draw with web browse send email and watch movies. You really can’t go past the Surface range. With a full OS on the device it make it very hard to beat. Stay turned for the Surface Book unboxing coming shortly.